Search all Carmel Valley condos and town homes for sale throughout Carmel Valley on one easy to use website. This page shows the latest Carmel Valley condos and town homes for Sale in Carmel Valley, CA 93924. Looking for a Carmel Valley Condos or Town Homes for Sale? This page has the latest 5 MLS Listings for Carmel Valley condos and town homes for Sale to come on the real estate market. Whether it is a basic condo in Carmel Valley or a 55 and older retirement condo in Carmel Valleys two great complexes, Hacienda Carmel or Del Mesa Carmel, this webpage will have the newest selection of condos and town homes in Carmel Valley. Carmel Valley is located just a few minutes inland from Carmel-by-the-Sea and offers its residents an escape from the coastal fog that plagues the central coast and Monterey peninsula primarily during the summer months. As you move inland, deeper into Carmel Valley, the weather gets warmer and in the village and beyond and can even get hot (by our standards). There are various condo developments scattered throughout the Carmel Valley area from the mouth of the valley all the way out to the Carmel Valley Village with prices ranging from the high $200,000's to well over $1,000,000 in the Del Mesa, Quail Lodge or Carmel Valley Ranch areas. Read on for more info about the specific condo complexes. Carmel Valley Ranch condos are the larges of all of the condos in Carmel Valley. They were built between 1981 and 1992 many have views of the Pete Dye designed Carmel Valley Ranch Golf Course. These are large condos with the largest being 3 bedrooms, 3.5 baths and over 2400 square feet! They are designed for those looking for the low maintenance lifestyle a condo offers without giving up too much space. Since these are larger units, it shouldn't come as a surprise they are also the most expensive condos in Carmel Valley. 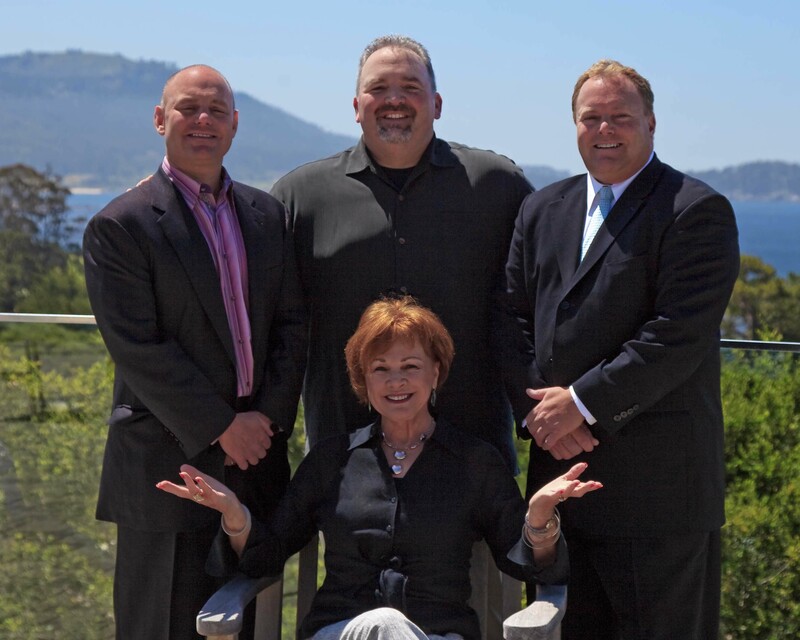 Search all Carmel Valley Ranch Condos. Quail Lodge is located just a few miles inland from Hwy 1 and is a luxurious corporate retreat with 77 guest rooms and 14 suites. In addition to the hotel, Quail Lodge has a semi private golf course, a fitness center with a pool, tennis courts, Edgar's Restaurant and there is even a Land Rover Experience Driving School on site! The golf course, known then as Carmel Valley Golf and Country Club, was built in 1964, 2 years prior to the Lodge opening. They both soon became the center piece to the entire Quail Lodge area community that was being built around it. Today Quail Lodge is the most desirable neighborhood in Carmel Valley, and the condos offered here are no exception. There are only 42 condos on the property and they range in size from approximately 1350 square feet for a 2 bedroom, 2 bath unit to over 1700 square feet for a 3 bedroom, 2.5 bath condo. Search all Quail Lodge Condos. Del Mesa Carmel is a senior retirement community with 289 condo homes located just a couple of miles from the Pacific Ocean off of Carmel Valley Road. With easy access to all of the Monterey peninsula coastal cities, golf courses, restaurants, galleries and historical sites, Del Mesa is ideally situated for those looking to enjoy all the Monterey peninsula has to offer all the while taking advantage of a warmer micro climate the complex happens to be situated in. There are tons of activities on site including a club house with meeting rooms, a dining room, library, pool & spa, lawn bowling green, arts and crafts building, guest units, a dog park, a fitness center plus a whole lot more. There is even a 24 hour security guard at the gate! Condos at Del Mesa Carmel come in 1 bedroom, 2 bedroom and 2 bedroom with a den and are nicely sized up to around 1700 square feet. Prices vary widely depending on the size, level of upgrades and the view a unit has. Search all Del Mesa Carmel Condos for sale. Hacienda Carmel is senior retirement community located about a mile from Hwy 1 off Carmel Valley Road and is made up of 300 individually owned condo units. It is the little brother to Del Mesa Carmel in a lot of ways. Hacienda Carmel features very flat terrain and nessles up to the Carmel River making it an ideal community for those seniors who have a desire to be more active. 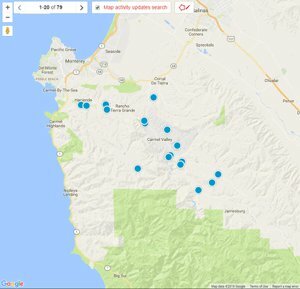 There a tons of community activities, similar to Del Mesa Carmel, and Hacienda residents are just as close to all the Monterey Peninsula has to offer. Hacienda Carmel's condos are much smaller in size than Del Mesa and are particularly desirable to those seniors looking to downsize. Most of the units are around 900 square feet, making them feel like a roomy apartment more than a condo. The good news is they are priced accordingly. Search all Hacienda Carmel condos for sale. Laguna Robles is a planned unit development in the Carmel Valley Village. The setting for these 18 units is beautiful with several man made ponds and plenty of green foliage. Each unit is configured as a free standing 3 bedroom, 2 bath home with a fireplace and a 1 car garage, and at almost 1350 square feet, there is plenty of room to nove around. Tucked in behind the Mid Valley Shopping Center is Mid Valley Garden Condos, a 64 unit condo complex built in 1971. There are two configurations, a 1 bedroom, 1 bath unit just under 700 square feet, and a 2 bedroom, 2 bath unit that is around 11 square feet. each unit has a fireplace and a carport. Village Green Condos are located on the north side of Carmel Valley Road just as you approach the Village. There are 22 units in this complex with the 2 bedroom, 2 bath units varying in size from 1400-1800 square feet and the 3 bedroom 2 bath units measuring around 2000 square feet. These units are just a block away from the Blue Ribbon Award winning Tularcitos Elementary School that is in high demand. White Oaks Condo complex can be found off of Paso Hondo ideally located in the heart of the Carmel Valley Village. There are 38 two bedroom, 2.5 bath units in White Oak, with each around 2000 square feet. Walk to the village restaurants and shops as well as Tularcitos school. Amenities include a clubhouse, excersize room, pool & spa, BBQ area plus more. If you are looking for a Carmel Valley condo and town home for sale, you can start your search below.